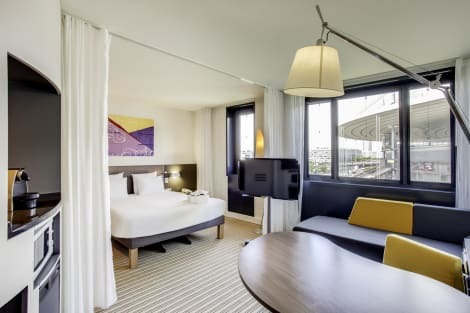 Come and stay opposite the Stade de France at the Novotel Paris Saint-Denis Stade Basilique. This 4* hotel welcomes you with its spacious, ultra-modern rooms, restaurant and gourmet bar. A fitness room, free WIFI access, and an Indigo paying private car p ark are all available. Our 7 meeting rooms are perfect for hosting your seminars and events. Located close to the Basilica of French kings, cinema studios, the Bourget and Villepinte exhibition centers and Roissy CGD. The lobby and reception area are pleasant, and decorated in a contemporary style. 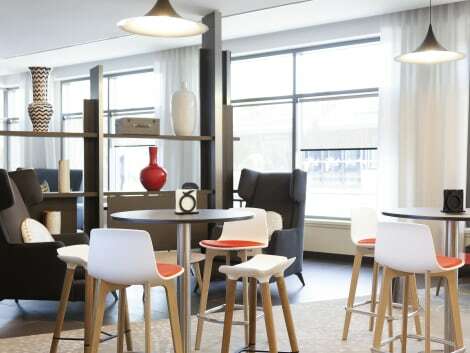 On the outskirts of Paris, in the Pleyel business district, the Adagio Access Paris Saint-Denis Pleyel offers access to central Paris in just 10 minutes via the metro, located just a stone's throw away. It is also near the Stade de France, and its storesand cinema. The Aparthotel is a 3-star holiday residence offering 107 spacious, fully equipped apartments, ranging from studios to 2-room apartments. Free WIFI Internet access and a car park are also available. Make yourself at home in one of the 99 air-conditioned guestrooms. Complimentary wireless Internet access keeps you connected, and cable programming is available for your entertainment. 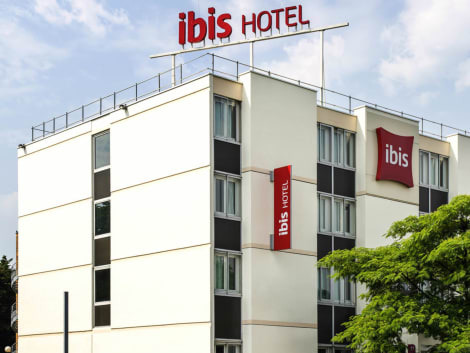 With a stay at ibis Styles Paris Saint Denis Plaine, you'll be centrally located in Saint-Denis, a 4-minute drive from Stade de France and 15 minutes from Zenith de Paris. 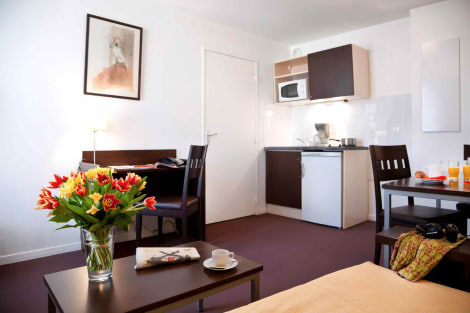 This hotel is 3 mi (4.8 km) from Canal Saint-Martin and 3.5 mi (5.6 km) from Moulin Rouge. With a stay at B&B Hôtel Paris Saint-Denis Pleyel in Saint-Denis, you'll be within a 15-minute drive of Stade de France and Saint Denis Basilica. This hotel is 3.4 mi (5.4 km) from Moulin Rouge and 3.9 mi (6.2 km) from Opéra Garnier. Featured amenities include a business center, complimentary newspapers in the lobby, and dry cleaning/laundry services. Planning an event in Saint-Denis? This hotel features 1345 square feet (125 square meters) of event facilities. Self parking (subject to charges) is available onsite. lastminute.com has a fantastic range of hotels in Saint Denis, with everything from cheap hotels to luxurious five star accommodation available. We like to live up to our last minute name so remember you can book any one of our excellent Saint Denis hotels up until midnight and stay the same night.